She Was Pretty is a romance comedy drama about two childhood friends who meet again many years later as deputy editor in chief and intern at The Most magazine. This drama is the first drama this year that had us super excited whenever Thursday and Friday (Wednesday and Thursday in South Korea) rolled around and there were new episodes for us to watch! We usually hold out watching episodes, wait till both episodes are released before watching. With She Was Pretty, it was so good, we couldn’t wait. We watched each episode as soon as they were released. We find ourselves sad beginning the episodes because it meant the closer to their ends and having to wait for next week for more episodes. This was how great She Was Pretty was for us each week. At the end of Episode 13, our excitement for the series did drop a little, but we still hung out for the episodes each week, just that the wait was not as painful. 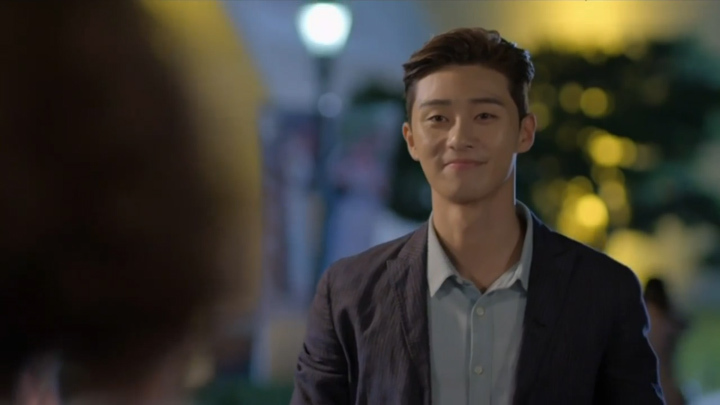 She Was Pretty is probably the only drama we found this year that grabbed our attention right from the start to the middle and right till the very last scene of the very last episode. Kim Hye Jin used to be pretty and popular. Back in fifth grade, boys flocked to her to be partners with her, she won the Grand Prize at school and she was his saviour when kids bullied him. She was pretty, her complexion was flawless, her hair was sleek and straight, and she was very well dressed. The younger Kim Hye Jin was academically successful and she was noticed. The Kim Hye Jin now is in between jobs, currently working at a bar at night serving patrons in the dark setting. People make comments about her unattractive appearance as she now sport short brown frizzy hair, a permanent red pigmentation across her cheeks; and wears casual tops, baggy ankle length pants and white socks over loafers. No longer do people flock to her. People don’t even see her. At her best friend’s birthday party, when Kim Hye Jin fell into the water after being knocked into the pool accidentally, no one came to her rescue. Ironically, the cause for her fall is from one of the dozen men rushing to save Kim Hye Jin‘s pretty, tall and stylish best friend, Min Ha Ri (Go Joon Hee). Were Kim Hye Jin to play a role in a drama, she wouldn’t even be a third friend of the female lead she describes. She’d be some extra. If she were one of the subjects depicted in Pierre-Auguste Renoir’s Dance in the Country painting, she’d be the very much hidden girl at the bottom-left of the painting who’s looking on at the dancing couple at the centre of the frame. This fact about being the hidden girl in the painting became apparent when discovers her first love Ji Sung Joon (Park Seo Joon) has returned from America unexpectedly with a similar image to the Kim Hye Jin he used to know at school. When Kim Hye Jin receives an email from Ji Sung Joon that he’s coming back to America and wants to meet up with her, she is excited. She thinks nothing of how much she’s changed since the two last saw each other. When Kim Hye Jin met Ji Sung Joon, he was a chubby boy who was laughed at by classmates and bullied. How he might have changed never crossed her mind. She assumed he was still the same person—still chubby with a head of black curls and wearing his dark-rimmed glasses, but grown up. So, arriving at their meeting place by the fountain, she waits. 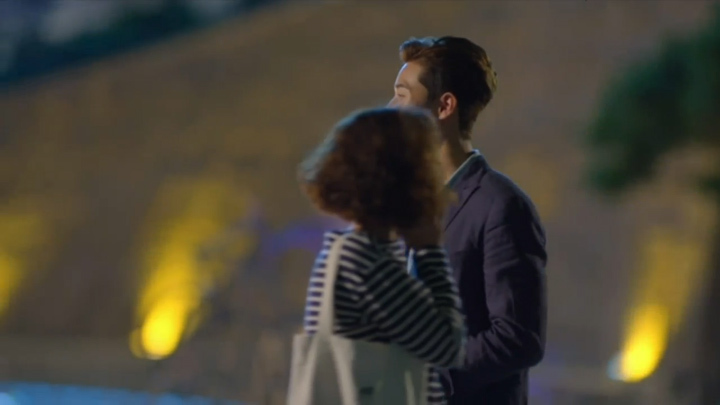 She sees someone matching her view of Ji Sung Joon, so she walks right over to him without holding back. She slaps him on the back before taking his hands in hers and jumps around excitedly without confirming his identity, which has the stranger express his opinion for her weird behaviour before leaving. 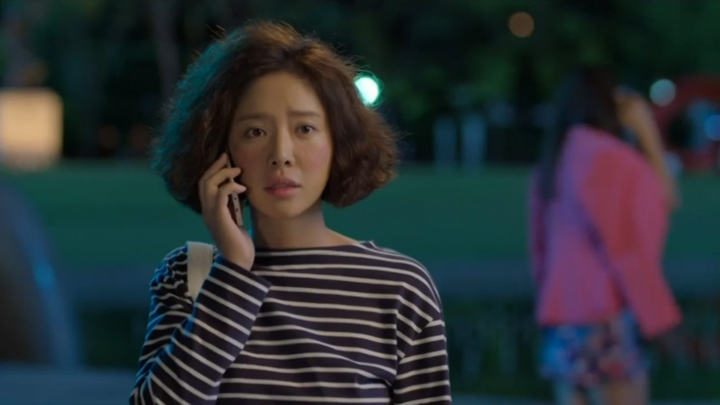 That’s when Ji Sung Joon calls, asking where she is. She tells him that she’s by the fountain, which has Ji Sung Joon inform he’s there also. They are right ahead of each other, but they don’t see each other. He glances around a little before telling her that he thinks he found her. 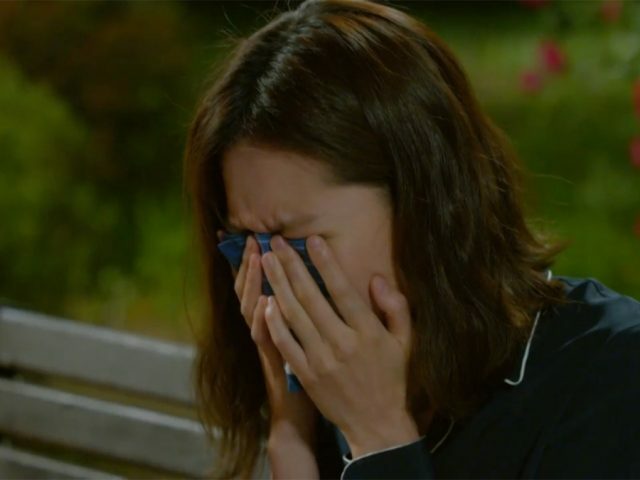 She’s still looking for an appearance that matches her last view of him and is shocked to see the chubby Ji Sung Joon she once knew is completely gone. He is tall and handsome; the black-rimmed glasses are gone; his black curly hair is replaced by sandy-blond, brushed back, straight hair; and he is dressed in his evening suit. 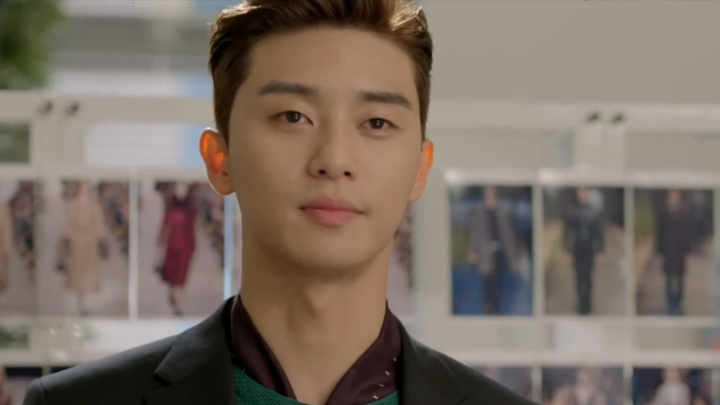 He looks to have done very well in life unlike Kim Hye Jin. 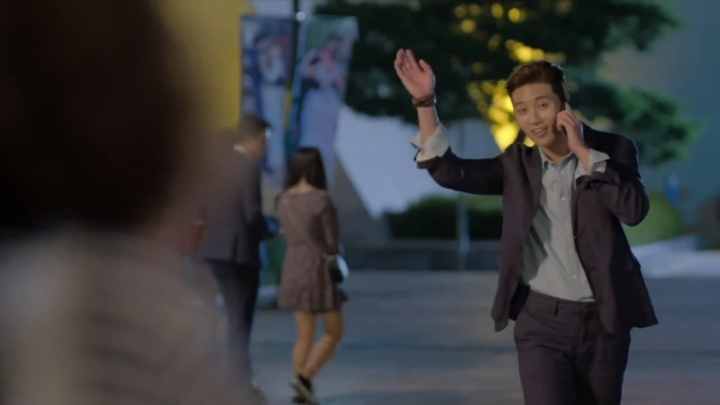 As he walks towards her, waving, shock hits her again as Ji Sung Joon walks right past her to a woman behind her. She has long brown hair similar to the long black hair she used to have. She has a perfect complexion and is dressed in a floral dress with a pink blazer draped over her shoulders. 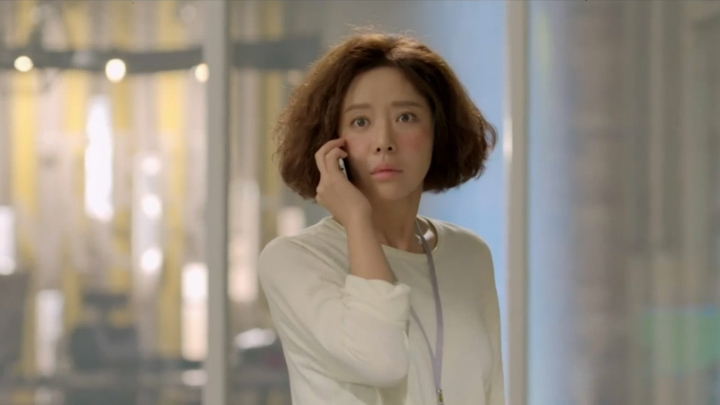 To Ji Sung Joon, this woman is how Kim Hye Jin should have turned out, not the frumpy-looking woman he just passed. Afraid to show that she’s this 30-year-old who’s become a loser, in between jobs and a little weird, Kim Hye Jin exits the scene and hatches a plan for Min Ha Ri to act as her to meet him instead. All Min Ha Ri needs to do is meet him, have a meal (which Kim Hye Jin would oversee from a table behind theirs) then end the night so that they never meet again. Min Ha Ri does well, only making one mistake, which she manages to recover from. The night ends with a lie about having to move overseas to study which gets Min Ha Ri off from having to act as Kim Hye Jin ever again. Plan executed. Plan succeeded. So they think. Unexpectedly, Kim Hye Jin receives news that she landed a new job at Jin Sung Management Services as an intern despite her poor resume. In fact, her poor resume as well as her looks were the reasons she got the job. Her manager who was on the interview panel explains that having her kind of looks and the lacking resume is the perfect fit to the kind of employee he was looking for. Lacking looks means a good chance she doesn’t have a boyfriend who she’d be on the phone with and affecting productivity. It also means requests to do overtime won’t be met with complaints over not being able to meet the boyfriend. The lack of a resume means she won’t change companies either, saving him from having to retrain and rehire. This position she holds doesn’t last, though. A couple of days in, just before she clocks off from work, she’s sent on an errand to deliver a box of supplies to the editing team at The Most magazine which is in the same building. Arriving there, the fashion director, Director Cha, mistakes her for their freelance editor and reviser. She puts her onto some editing and revising work without wasting a minute. Kim Hye Jin is completely confused by the sudden request, but goes ahead and does it all that night. She does such a great job, she is asked back and is made to transfer over for a three-month placement as their translator, editor and reviser leading to her meeting with Ji Sung Joon. As Kim Hye Jin returns the following day in her new placement as an intern at The Most, Ji Sung Joon appears before Kim Hye Jin as the magazine’s deputy editor in chief. Kim Hye Jin does her best to hide from Ji Sung Joon, ducking out inconspicuously, hiding of the office hiding under desks and even goes about submitting a resignation letter when her plea to her former manager at the Management Services Team refused to transfer her back to her original team. She worried over nothing though, because when she and Ji Sung Joon run into each other in the elevator, he doesn’t even recognise her and ends up disapproving pretty much everything about her. Their first meeting has him address Kim Hye Jin by her name as if he recognised her. However, he knows it only because of her name tag. When they meet for the second time, it’s during a photoshoot where she’s called in by Director Cha to assist. Here, she makes the mistake of wearing shoes on set and is scolded by Ji Sung Joon in front of everyone. When she takes her shoes off to comply, revealing a hole in her sock, she is given a look of disapproval from him. Insults follow in their subsequent meetings. In a team meeting when she failed to offer ideas for The Most’s 20th Anniversity Edition, requiring her Director Cha to speak for her all the time, she was questioned about whether she was a kindergartener and whether she was mentally challenged. She was then told to leave the meeting as she was contaminating the oxygen by being there. When she accidentally bumps into him outside the office, requiring him to catch her and break her fall, he criticises her eyesight. When she tries to apologise to him for what happened at the photoshoot, Ji Sung Joon questions whether she had a speech impairment. Her frequent use of filler words in her speech annoyed him. He didn’t like wasting time on useless things. When Kim Hye Jin asks him why he hated her, he did not hold back. He tells her that she was not capable, she was unprofessional, and most importantly, she was named Kim Hye Jin. Kim Hye Jin was too good of a name for her! He ends with saying that if she’s lacking then she doesn’t have the right to be on the team. He even offers to fire her if that’s what she doesn’t like working on the team. Mentally challenged, speech impaired, incompetent and a waste of his time? Wow! Ji Sung Joon really wanted to make sure Kim Hye Jin knew how unimpressed he was with her. What happened between when he was a child and the present that caused him to feel so comfortable with throwing such insults at someone he just met? So very mean. Mean Ji Sung Joon may be, it does set-up for an awesome, addictive watch. Following Ji Sung Joon‘s insults and offer to fire Kim Hye Jin, she gets mad hearing and vows to stay at the company and not let him fire her; Min Ha Ri is discovered by Ji Sung Joon to be ‘back from London’ and working in a hotel; and as Kim Hye Jin says, “so begins the game to find the hidden picture” in the scene between Ji Sung Joon, Min Ha Ri and Kim Hye Jin. It’s an awesome set-up, right? Ji Sung Joon thinks Min Ha Ri is Kim Hye Jin and so he treats her well, he smiles and is happy to see her in future episodes. The real Kim Hye Jin is just an intern to him, one who he doesn’t like and find a waste of his time. Kim Hye Jin not being worthy of her name? That made us laugh. If only he knew how perfect of a fit she was for the name, because she is the owner of the name he has in his mind. How we could not wait to see Ji Sung Joon discover Kim Hye Jin so that he could see how wrong he was about everything he said about Kim Hye Jin! The romance arc in She Was Pretty, there’s not much difference from other romance dramas when we summarise it like the above. Were we to expand on it a little, we suppose the progression would still appear quite like other romance dramas. But then, a drama doesn’t always need to be unpredictable for the drama to be awesome in our opinion. Sometimes the fun and excitement is in expecting and anticipating what’s to come and then seeing it happen. Sometimes that’s what keeps us hanging out for the next episode and the next episode and the next episode! For She Was Pretty, this is exactly the reason we love the drama so much. We knew the kind of drama She Was Pretty was. We knew it was going to develop in a certain way and it is the reason we started watching the drama in the first place. Having said that, She Was Pretty seems to be against being too cliche and carrying on some of the popular scenes and stereotypes in Asian dramas so it doesn’t always go as one thinks. A popular scene in romance dramas is one where a lead character falls ill and the other lead character stays over to take care of them. In She Was Pretty, Kim Hye Jin doesn’t care for him throughout the night after Ji Sung Joon falls ill from staggering through the rain in front of oncoming traffic. (His state was caused by witnessing a car accident during his drive home. This car accident brought on the trauma he experienced as a child after his mother pass away from a car accident she was involved in.) Ji Sung Joon pleaded for Kim Hye Jin to leave him; so she reluctantly sends him home in a taxi. Worried about his state, she sends Kim Shin Hyuk (Choi Si Won) over with porridge, after which he stays over to help him bring down a fever which Ji Sung Joon develops. It’s a very different handling of the scene, right? There’s also a plot involving the secret identity of two characters: TEN, a famous writer who’s never been seen by anyone; and the heir to Jin Sung. We won’t go into too much details about who they actually are in the drama to avoid spoiling too much of the drama for those still yet to see it. We’ll only say that we had an idea who TEN was. We also had our guesses who the heir to Jin Sung was. (Jin Sung is the parent company to The Most magazine.) We were right about TEN, but wrong about who the Jin Sung heir was. We’re a little ashamed of ourselves with our guess about who the heir was. We just automatically assumed that this character was the heir because we suppose he fit the part. Even when Han Seol (Shin Hye Seon), an employee at The Most, were pointing out the possible candidates for the Jin Sung heir, pointing out three in total, we overlooked the person who actually was the heir because he was not traditionally seen as the heir in dramas. If we could allow ourselves an excuse, the writer(s) did deliberately have multiple characters in the drama have the same surname to confuse us. The writer(s) also deliberately had the character we thought was he heir comfortably talk and be disruptive without fearing his superiors. He really came off as the Jin Sung heir. When we look back on it now though, the person who actually is the heir was also acting quite boldly in his own way. He did a bit of demanding of his own, using a tone in his voice which was quite authoritative with his colleagues. Ji Sung Joon is another example of going against the grain—just a tiny bit. He’s unforgivingly harsh and rude, he has high standards and looks down on people who don’t meet them and comes from a wealthy family. He’s pretty much the typical male lead character in many mainstream Asian dramas. The only difference is that Ji Sung Joon is not as perfect as he appears. He has a tendency to bump into doors, windows as well as drink from flower vases because of how engrossed he becomes when he stares down at his tablet. He does this when waiting for coffees, heading in and out of places and crossing the road. These scenes bring him down quite a few notches from the perfect, godly characters so many other dramas make the male lead characters. We feel Ji Sung Joon is actually quite an approachable guy. When he’s with Min Ha Ri (thinking she’s Kim Hye Jin), he comes off as quite a fun, playful, accomodating guy and not at all like the rude, unforgivingly harsh guy he presents in The Most office. It feels like he has a work personality where he shouts and has high expectations (presumably because he’s trying to lead the team to produce the best 20th Anniversary issue they can so that they won’t be shut down and discontinued. With the timeframe of three months, there’s no time for him to try any idea and be kind about things). He also has an off-the-clock personality which is more normal, relaxed and agreeable. Hidden pictures. This series is all about hidden pictures. It not only challenges Ji Sung Joon to find the hidden picture in a scene which has its spotlight on something else, but it presents us a little game to find a hidden picture, too. We really like that this drama does have a predictable feel. It’s what makes us super antsy for the episodes each week. We also like that it has unpredictable feel to it with not always going where most dramas like it go with its scenes and characters. It fits in well with this hidden picture theme and going against the grain (even if it is just a little) they have going in the drama. 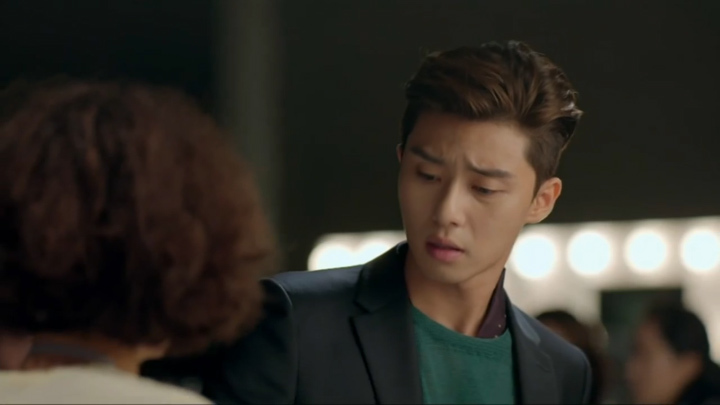 If you’ve yet to watch She Was Pretty, go watch it. The buzz this drama received, the high ratings it got, it’s deserving. It does everything right in our eyes. Great set-up. Awesome progression. Relatable and lovable characters—every one of them. Hwang Jung Eum, Park Seo Joon, Choi Si Won, awesome, awesome awesome. Love, love, love. Years from now, we can see ourselves enjoying the drama as much as we did the first watch. We’re trying to think if there was anything we didn’t like about the drama and we really can’t think of anything. This drama started off well and continued to be fantastic right till the very last shot of the last scene of the last episode. (The very last scene, we usually find such ends not all that interesting, but we really love it. It’s cute!) And so, even though She Was Pretty is a recent drama, this shall go in as one of our all-time favourite Asian dramas!